Berdetta Thomas, d/o Georgia Sanders & Elijah Thomas. In 1820, Henry and Polly are listed on the Bath Co, KY census adjacent to William Combs. Luisa died from burns received while burning brush on their homeplace. Her clothing caught fire & Green was unable to put it out, even though his hands got badly burned trying. She lived 2 days. - Bert Fredeen, g/daugh of Luisa. She was "Black Dutch" with dark hair and eyes. -Norma Jean Thomas. Bertha Fredeen, g/daugh of "Green" Thomas & Luisa Hawkins, from Glenn Twist. Ernie Matlock, grt g/s of "Ike" Thomas, brother of Greenville. Franklin Co. AR Marriage Licenses, 1855-1882 from Glenn Twist papers. Louise Linton, d/o Clum Marshall & Mattie Thomas. Although listed as a brother in Ann's obituary, there is no Harrison on either the 1930 or 1940 census in this household. Listed as a survivor of sister, Ann, in her obit. Kentucky Birth Index, 1911- 1999, on Ancestry.com. 1850 Owsley Co KY Census - nickname. BOONEVILLE, KY - Dec. 30 (1962) - Mrs. Amelia Jane Treadway, 86, died at 4:30 a.m. today at the home of a daughter, Mrs. Bess Turner of Jackson, after an illness of seven months. A native of Owsley County, she was a member of the Presbyterian Church. Survivors are seven other daughters, Mrs. Arthur Wilson, and Mrs. W. C. Reynolds, both of Booneville; Mrs. E. W. Kyper, Denver, CO; Mrs. Charlene Turner, Jackson; Mrs. Mathew Combs, Clay City; Mrs. Robert McClure, Lexington, and Mrs. Horace Irwin, Jacksonville, FL; two sons, James Treadway, Lafayette, IN, and Brown Treadway, Louisville; several grandchildren and great-grandchildren and a great-great-grandchild. 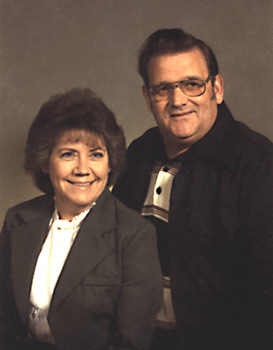 Services will be conducted at 1 p.m. Tuesday at the Booneville Presbytrian Church by the Rev. Phillip Young. Burial will be in the Reynolds Cemetery at Cow Creek. The body is at the funeral home. Obituary in the Courier, posted on the OCHGS Mail List. PAGE: Posted Mar. 25, 2004, by SBF. Richard and Elizabeth Naomi McLenore Reynolds came to Kentucky by way of the Wilderness Road in the late 1790's. There were about 15 families living in the area when they arrived. Richard purchased 3000 acres of land in what is now Owsley County. He named Bear Run and Cow Creek and owned a mill there according to County court records. They raised their family in these beautiful hills of Kentucky. Descendants still live on the land that Richard and Elizabeth cultivated for their heritage over 200 years ago. Richard Reynolds Sr. is on the Owsley Co. Tax List from 1816 to 1819 with 600 acres on Cow Creek. In 1820 he is gone and his son Tobias has 600 acres on Cow Cr. Richard Reynolds Cemetery listings on the Owsley Co. History & Genealogy Society's website. From Nancy Sizemore's Widow's Claim for Pension, dated Feb 2, 1883. Myrna G. Seal, grt g/d of Susan Sizemore (Elizabeth's half-sister) - 1889. PAGE: P. 279b, HH 41. Although her death certificate has her birth year as 1908, Addie is 1 year & a few months old on the 1910 census. Cause of death was pneumonia with contributing factor as 'flu', probably the Spanish Influenza that followed WWI. Although death certificate has "Marshall Graveyard", Harrison (informant on DC) may have called it that based on his knowledge of who was buried there. According to Sandy Tirey, Addie's sister said she was buried in the Griffith Cemetery. Sandy Tirey, grt granddaughter of Wm Harrison Thomas, from Addie's sister. A delayed Death Certificate for what appears to be this Catharine Thomas Gabbard has a birth date of Dec. 30, which would make her birth year 1842, but the parents listed on this DC are "Bill Thomas & Mary Jane Thomas". Could this mean that Catharine was actually the daughter of Joseph's son, William, and that she was raised by her grandparents?? The informant on the DC was James Thomas. The only Mary Jane Thomas I could find was a d/o Henry H. Thomas & Margaret "Peggy" Harriongton, born in Madison County. Catharine was married to Julius Gabbard at the home of one Henry Thomas. Evidently Catharine did not pay much attention to her age. In 1870 she says she was born in 1848. In1880 she says she was born in 1851. But on the 1850 census, in her parents' household, she is 7 years old, making her born in 1843. A delayed Death Certificate for what appears to be this Catharine Gabbard has a birth date of Dec. 30, which would make her birth year 1842, but the parents listed on this DC are "Bill Thomas & Mary Jane Thomas". Could this mean that Catharine was actually the daughter of Joseph's son, William, and that she was raised by her grandparents?? The informant on the DC was James Thomas. Although Delayed Death Certificate has July 24 as date of death, it was filed on July 23, and in the Civil War pension record of Julius Gabbard, her death date is given as July 23. Married by Cordy Pendergrass, at the home of Henry Thomas, in the presence of John Sizemore and Henry Thomas. Nickname from article in the Owsley County Courier Feb 21, 1936. PAGE: P. 321, HH 587 -1843. Norma Pierson of Oklahoma City, OK. Worked on Elisha Thomas line. Civil War Pension Record of Julius Gabbard. Civil War Pension Record of Alfred Wilson. PAGE: Family Report, dated Mar11, 1915.